First of all, please understand that a living ecosystem water garden is NOT a spa. The rocks are SUPPOSED TO HAVE a green fuzz on them -- we call it pond patina. This is part of your "filtration" system that helps keep your water gin-clear. However, from time to time, the water qualities suffers for a variety of reasons (dust storms, cold water issues in Winter, etc. ), and you might need to add a little something extra to get it back on track. DO NOT add anything that contains the suffix "cide" in its name or description. This designates it as a poison, no matter what the rest of the label says. You do not want a chemically-dependent water feature! Because ornamental water gardens are enclosed ecosystems, sometimes factors like fish load, uneaten fish food, organics such as leaves, sludge and unwanted debris may disrupt the balance. Aquascape Beneficial Bacteria maintains a strong biological balance; providing clean, clear and healthy water conditions. Use two good-sized pinches per day at the skimmer area until water clears. Once the water clears, back off of the dosage slowly until you are adding it only once a week. If the water stays clear for two weeks, you can discontinue usage. SAB™ Stream and Pond Clean contains pure strains of concentrated beneficial bacteria and enzymes. Ideal for breaking down debris in ponds, streams and waterfalls, this combination of natural cleaners helps to maintain a strong biological balance in your pond. Be sure to mix the SAB with POND water before application! String algae that becomes longer than 3" in length. Using a large clear glass or plastic jar, partially filled with POND water, add five tablespoons of SAB and shake/mix until the SAB has completely dissolved in the water. Once dissolved, spread it around the pond as thoroughly as possible, sprinkling it through the stream around the perimeter of the pond and a little in each skimmer. If the SAB is not dissolved in the water, it just sinks to the bottom of the pond and is minimally effective if at all. For other water quality issues, check with our Troubleshooting Guide. We also have written about various issues in our Blog. In Phoenix, many of the Ewing Irrigation stores carry these products on their shelves. In particular, the store located at 21401 N 21st Ave, Phoenix, AZ, carries the products. 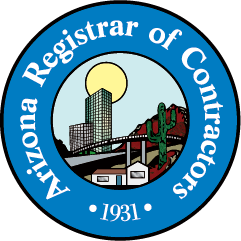 Their hours fluctuate by time of year, and they can be contacted at (623) 582-5083. Or you can order online at My Pond Store.